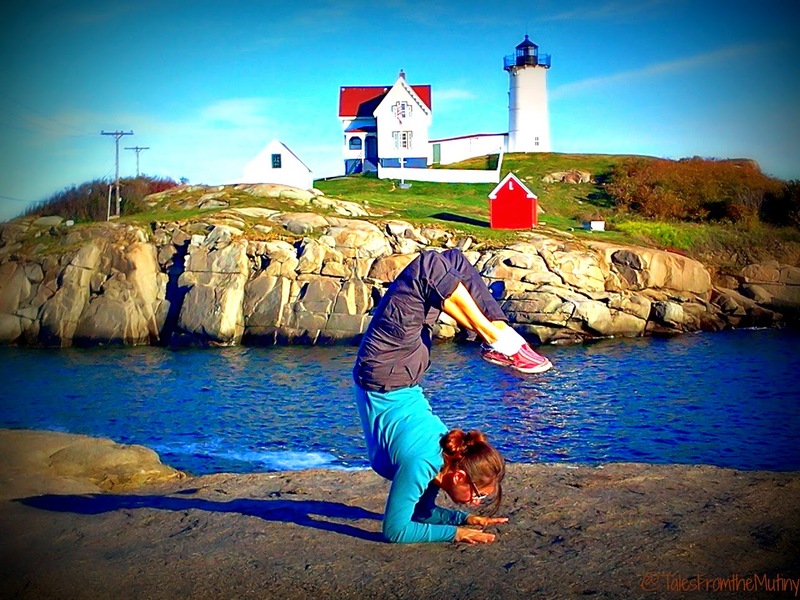 Scorpion at the famous Nubble Light House. Being the type of yogi who has never owned real yoga clothing (I generally wear the same old faded stretchy shorts I ran my marathon in 4 years ago…and a cheap tank top) I’ll admit I wondered what the other students at Yoga on York would think when I attended one of their early morning classes. My sister, Marylou, was with me…but she’s a fashionista. She owns Sperry Top-Siders, pastel shirts and can even tie a sweater around her neck making it look as if she’s walked right out of an L.L. Bean catalog. 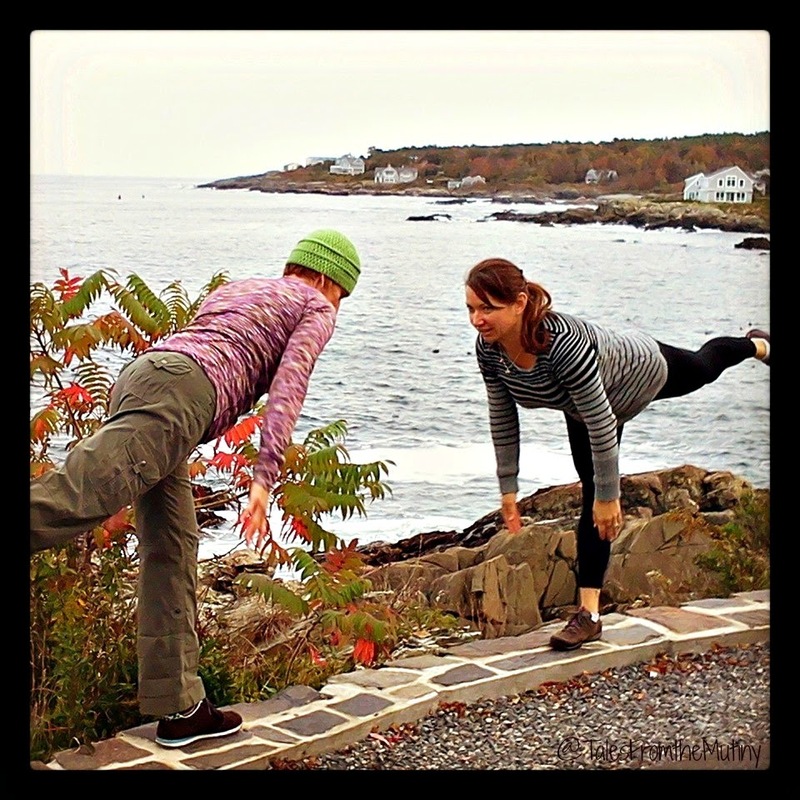 And she also owns real yoga outfits…yep, outfits…all color coordinated…color me jealous in the most non-yogic way! Needless to say, I felt a little like a bag-lady walking into this well-appointed studio. In the spirit of a true yoga-ness no one blinked an eye at my clothing. Why would they when they were there working on their own practice? My mind can play tricks on me…sapping my self-esteem like those spigots they screw into the maple trees in these parts…extracting that delicious syrup. The studio is gorgeous. Set in what might be considered the basement (although still above ground mostly) of an old house there is an immediate feeling of comfort when you walk in. The entire studio is carpeted (a first for me) so it’s kinda sound proof…a refuge from the buzzing of what little traffic might pass by outside. I liked that…a lot. 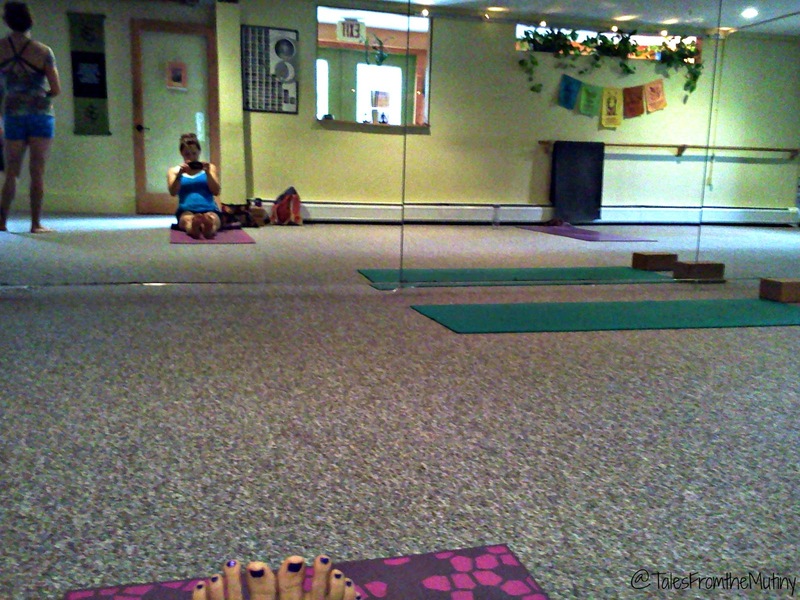 There’s also an entire wall of mirrors…something I hadn’t seen in a yoga studio since we hit the road. Rae Lynn made us feel welcome and taught an exceptional class. We worked on several balance poses such as Warrior 3, dancer and Eagle which all ended up being a challenge for me. I was already a little self-conscious about my attire (for no good reason) and facing myself in those huge mirrors worked against me. But no one else was looking at me (except Rae Lynn whose job it was to look and offer adjustments). As I spent my time searching the faces of my fellow students for any sign of judgement they were just doing their practice with grace and ease. They certainly weren’t trying to one-up anyone. And they couldn’t give shiite about what I was doing on my mat. I have to remind myself that not everything (or is it hardly anything) is about me. Not only was this a great overall practice but it was a huge eye-opener. I thought I was over the self-criticism and need to “prove myself” in front of strangers (hey look at me, I might be wearing old, thread bare shorts but I can nail crow pose!!) but facing those mirrors proved me wrong. And that’s the beauty of taking real live classes, even just once in a while. You practice, you struggle, you face your faults, you work on the ones you can, you practice some more and each day you become more you (not the you that is critical of self or others but the you that is hidden underneath all that crap). Yoga on York gets points for helping me do that on this visit. 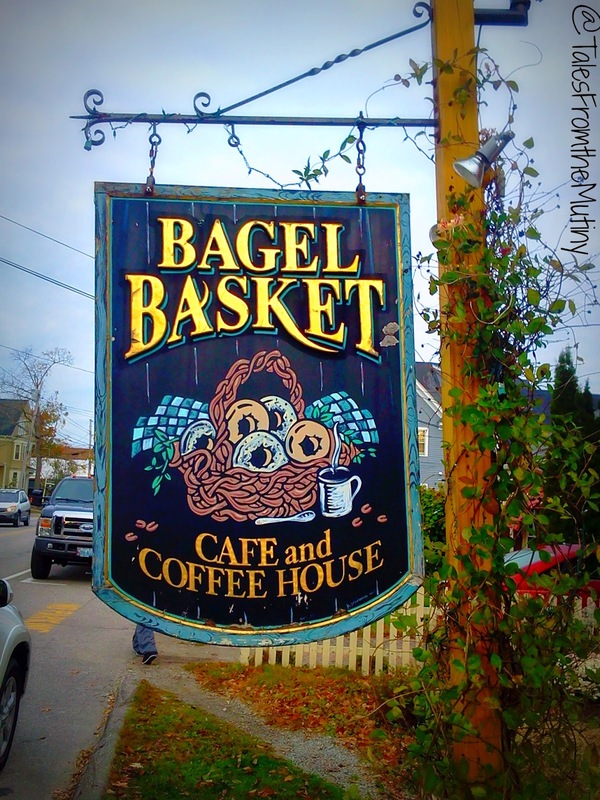 Oh, they also get extra points for being conveniently located right next door to Bagel Basket Cafe and Coffee House. It’s not surprising that New England has an aversion to Starbucks (like a lot of us do) so it’s nice to come across a good quality coffee house that also happens to be located next door to a yoga studio! Not only did my sister and I enjoy a great class but we were able to bring home breakfast for the menfolk so no one had to cook…score! Of course we also do yoga poses while hiking! 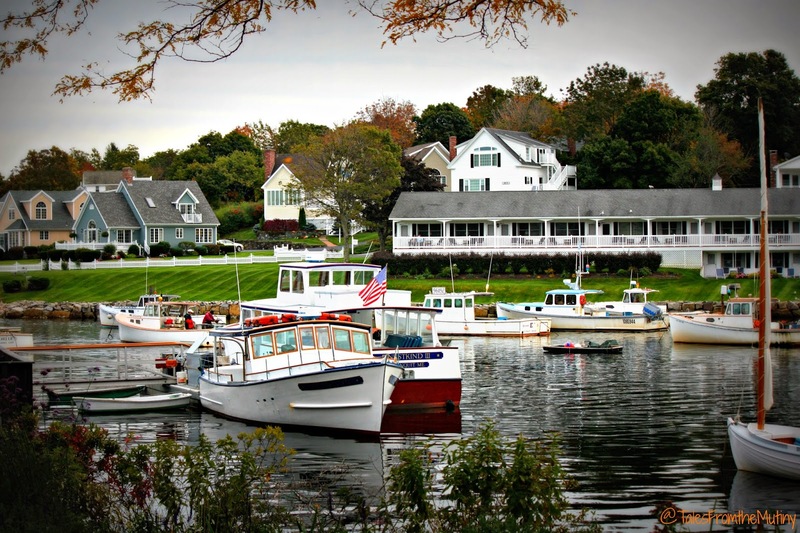 I'll be in Maine in just a few weeks and this post makes me very excited for my trip! It's gorgeous.